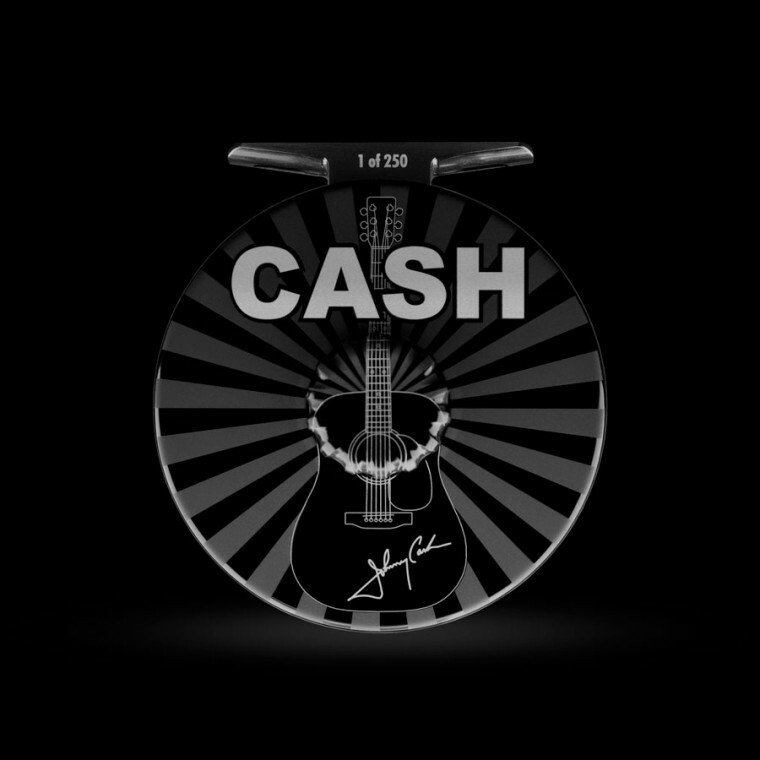 Abel has released a Johnny Cash themed “Super Series” fly reel. It is available in 5/6 and 7/8 sizes, which make it useful for fly fishers pursuing trout, steelhead, bonefish, and more. However, because the reel costs a minimum of $1,355.00, I suspect that most of the 250 reels made will sit on shelves. Johnny Cash was a champion of the downtrodden. Some of his most popular songs focused on cotton pickers, prison inmates, and alcoholics. He devoted an entire album, Bitter Tears: Ballads of the American Indian (1964) to Native Americans, helping to draw mainstream attention to the growing Native American civil rights movement. Despite experiencing a significant backlash for his advocacy, Cash became a major figure in American popular culture. I remember watching him on TV, sprawled on the floor of my grandma’s house in Dillon, Montana. Despite his somewhat dark past and what many considered to be radical views, people like my grandmother enjoyed watching and listening to him. It’s a bit of a shame, then, that the cost of the reel memorializing him is so high. It is not a reel for the masses–the people about whom Cash sang. Still, it’s a beauty, and Abel’s products are always high quality. So, do go ahead and take a look. And if you are one of the few who ends up owning one, I hope you use it. It always saddens me a bit when beautiful pieces of utilitarian art do not get put to work. I’m pretty sure that the Man in Black felt the same. This entry was posted on November 1, 2017 at 3:18 PM and is filed under Fly Fishing Tackle, The Arts. You can follow any responses to this entry through the RSS 2.0 feed. You can leave a response, or trackback from your own site.